I reached down to grab big Mikes weakfish, one of a few he had caught in a very short time. This one would place him in the number one spot in Moran’s weakfish tournament (7.85? ).My phone battery had died, leaving me unable to take a picture. Over the next few days the condition have continued to decline.However, some nice weakfish have been caught. 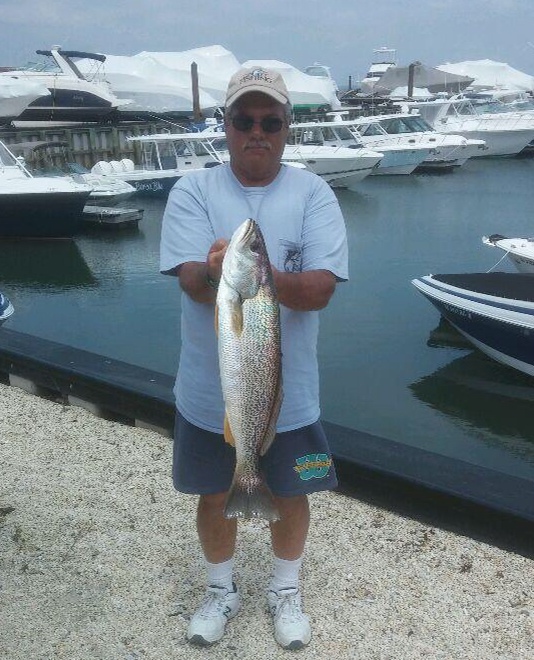 Including CJ’s 7.7 pound tide-runner weakfish above. The challenge has been locating clear water and the correct water temperature. Marginal, is the best you can expect to find.